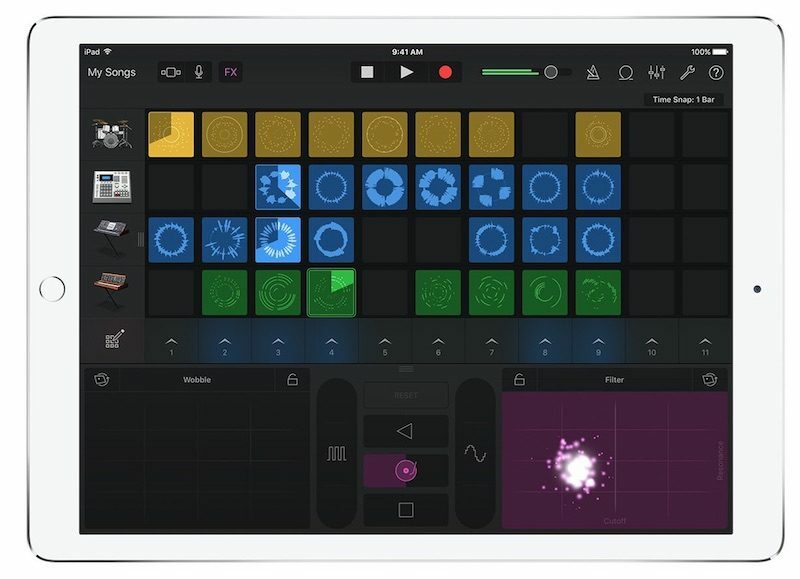 Apple today updated its Clips and GarageBand apps for iOS with several new educational features and other improvements. Clips has received a wide range of new fonts, colors, layouts, animated labels and stickers, title cards with education-themed designs, and more, all of which provides students and teachers with more creative flexibility to prepare video presentations and lessons using the app on the new 9.7-inch iPad. Two new Selfie Scenes on iPhone X from Disney-Pixar that put you in the "Finding Dory" reef and on the Scare Floor from "Monsters, Inc."
Likewise, GarageBand has received new educational sound effects, including animals, vehicles, and counting to ten in different languages. New downloadable "Toy Box" sound pack with free educational sound effects, including animals, vehicles, and counting to ten in different languages. * Apple's fine print: "Requires iPhone X. GarageBand uses ARKit face tracking features to translate your facial expressions into instrument effect controls. Your face information is processed on device, and only music is captured during your performance." The updates to Clips and GarageBand are rolling out on the App Store today. The apps are free to download on iPhone and iPad.